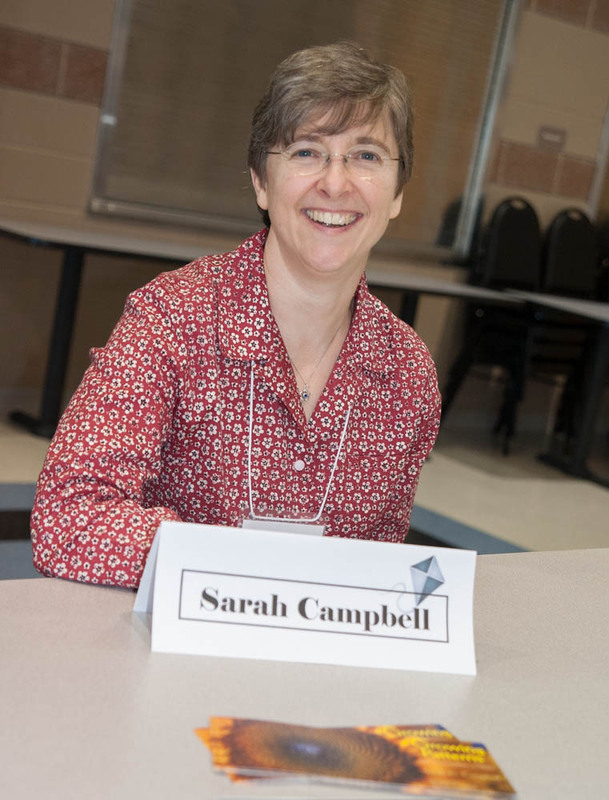 Today, I offer tips on finding and working with experts when you are writing nonfiction for children. 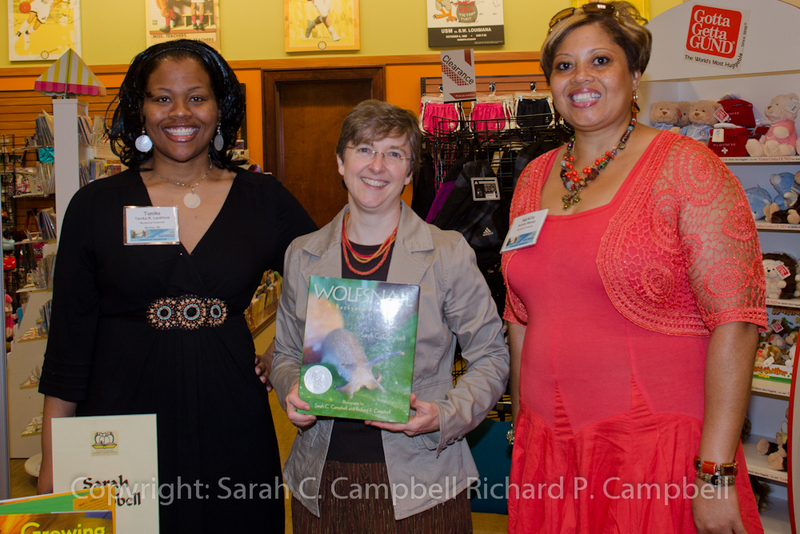 My post appears on the blog of children’s author/illustrator Elizabeth Dulemba, a friend from SCBWI’s Southern Breeze region. I hope you’ll click here to read the post. 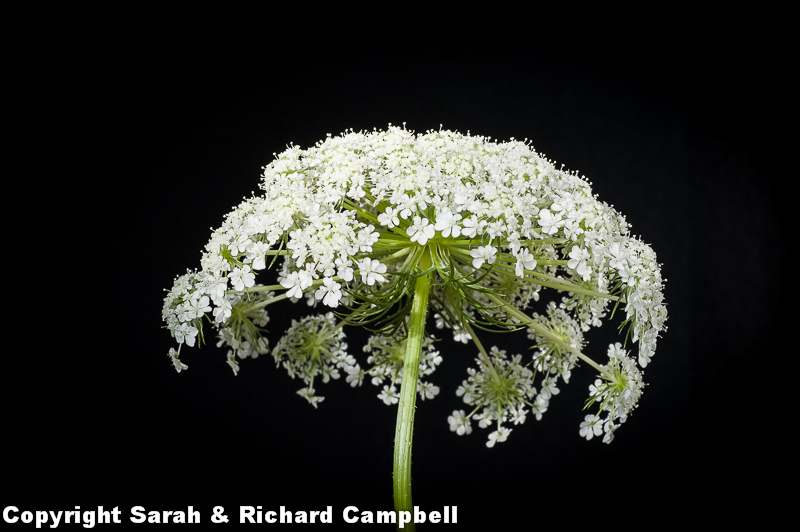 You could win a free copy of Mysterious Patterns: Finding Fractals in Nature. Elizabeth has a new novel out next month called A Bird on Water Street. I read an advance copy and I think she did a masterful job of exploring the environmental impacts of resource mining through the eyes of boy growing up in Appalachia. Physically, I am in Boston for the annual convention of the National Science Teachers Association. 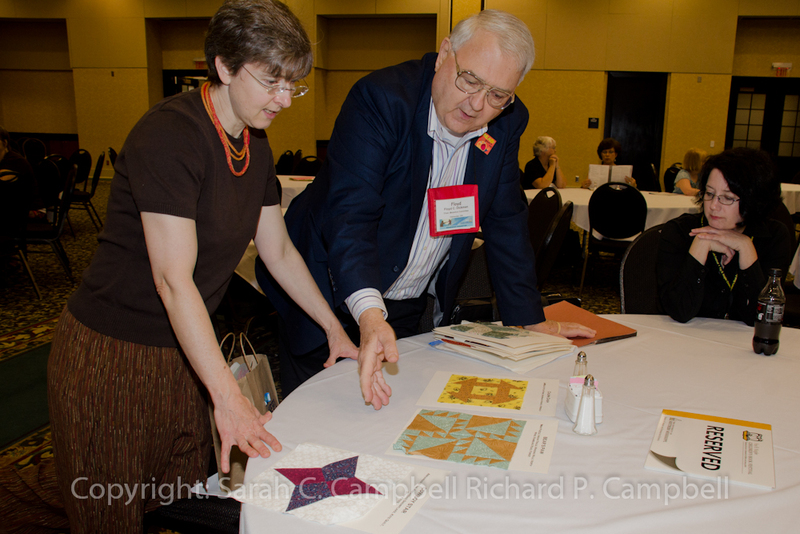 I will present in a session titled, “A Real-Life Page Turner: Award-winning Trade Book Authors Share Their Research Strategies” and then Richard and I will sign copies of Mysterious Patterns. I’ll post pictures when I get back home. My friend Carolyn Brown is writing a young adult biography of writer Margaret Walker Alexander, and I agreed to help her get some photographs. 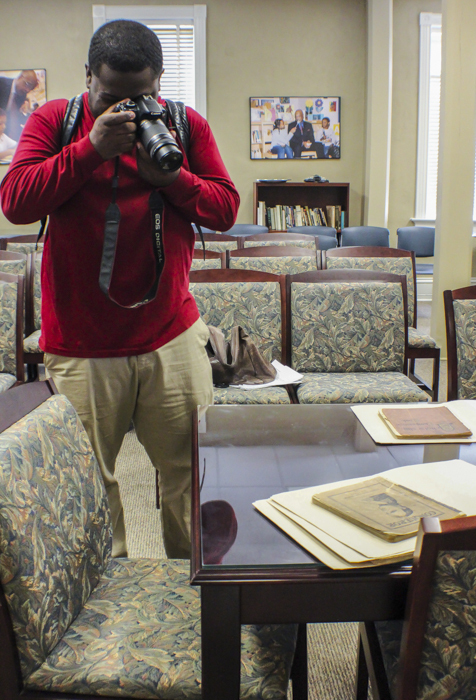 We met at the Margaret Walker Center, which is housed on the campus of Jackson State University, where Dr. Alexander taught for most of her career. 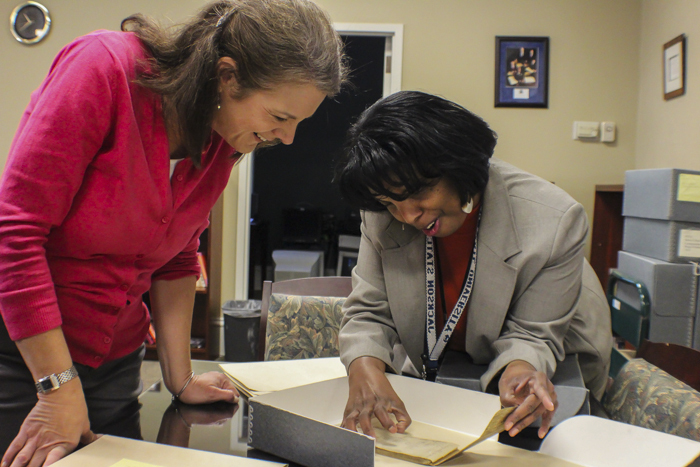 In this photograph, Carolyn and archivist Angela Stewart are looking through one of Alexander’s early journals, which are housed at the Center. Though Carolyn had asked me to take photographs for her, I am very busy right now with other projects so I recommended Roderick Red. Regular readers of the blog will know he and I have been working together for about a year and a half. 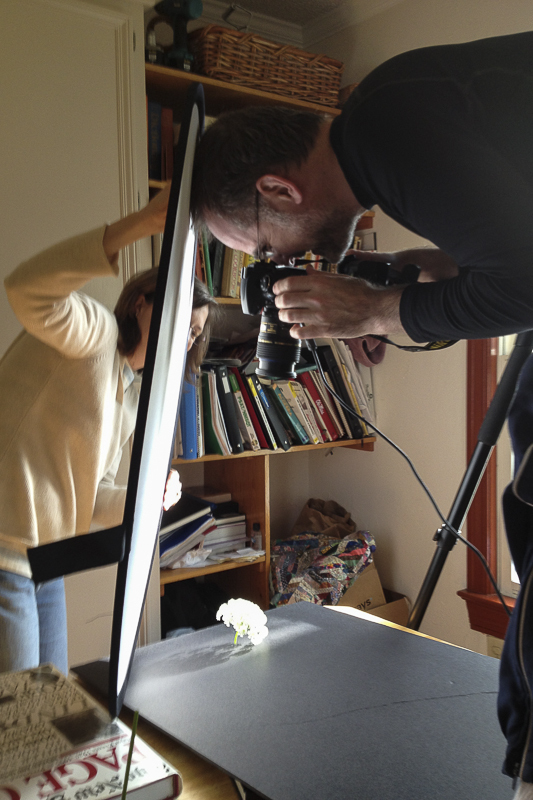 Here he is taking photographs of Alexander’s journals. After the Center, we went to Gallery 1, where an exhibit of Elizabeth Catlett prints was just coming down. 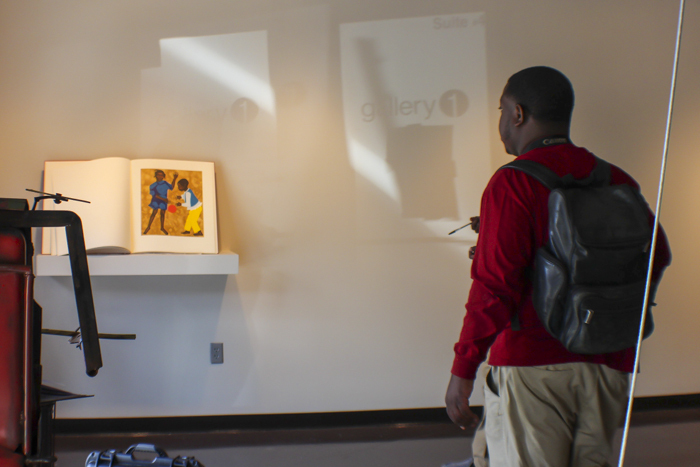 Here’s Rod, looking at a print by Catlett that was inspired by Alexander’s poem, For My People. On the other wall at Gallery 1, I found these quilts by my quilting friends Gustina Atlas, Geraldine Nash, Hystercine Rankin, and Lorraine Harrington. 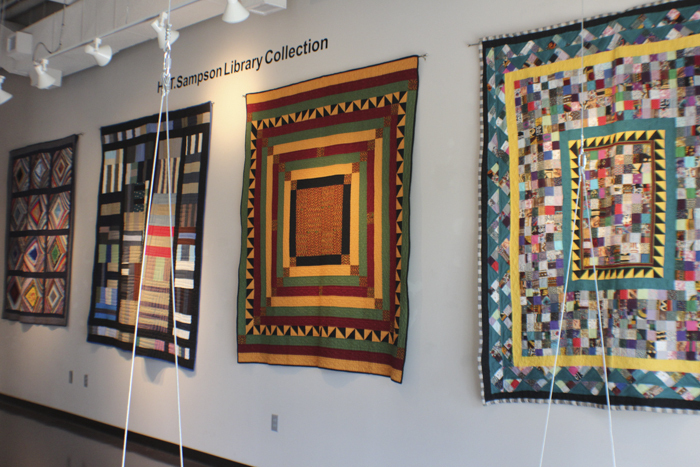 I love coming across the work of Crossroads Quilters out in the wider world. All children — those who live sheltered, protected lives and those who face hunger, cruelty, and neglect — need to read about terrible things, according to children’s book author Donna Jo Napoli. If you visit her website’s page listing interviews, you can listen to her TEDx talk on the topic. 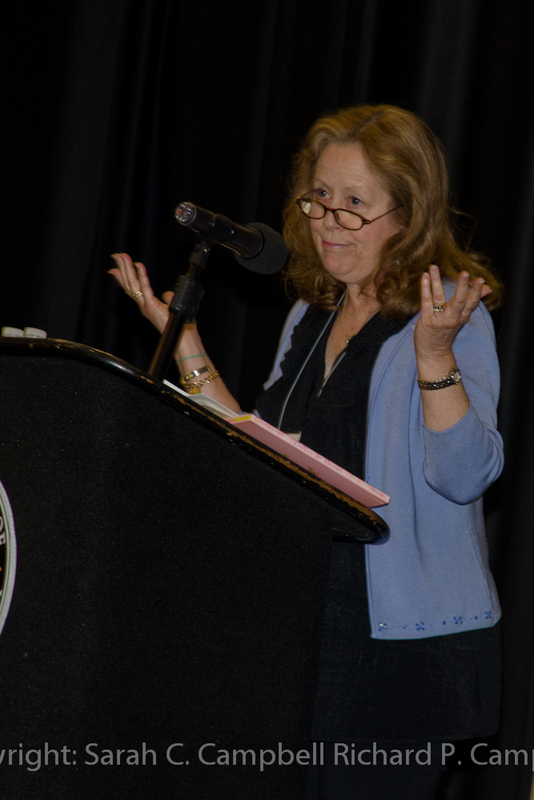 Napoli delivered the keynote address at this year’s Writing and Illustrating for Kids conference. 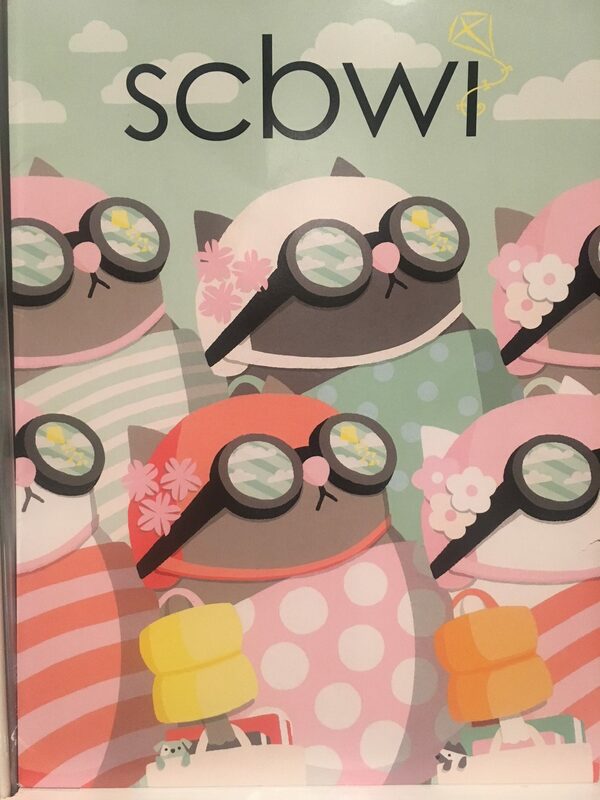 Put on by the Southern Breeze region of the SCBWI and held each year just outside Birmingham, WIK offers workshops, critiques, and opportunities to meet and learn from other writers, editors, and agents. 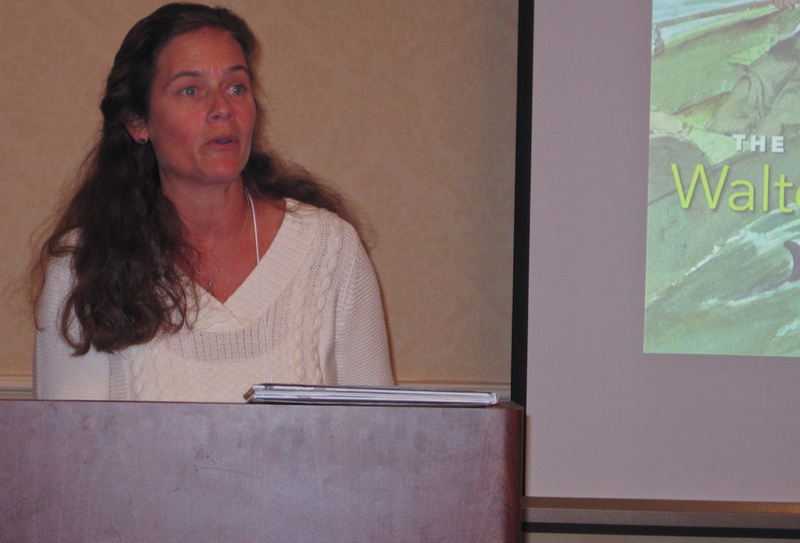 I presented two workshops: Stories + Photos = Winning Nonfiction and You Mean I’m Not Finished? Developing Marketing and Educational Materials. I uploaded two handouts for the Stories + Photos workshop on my website. Click here to see them. I created a Pinterest Board to gather examples for the Not Finished workshop. Click here. 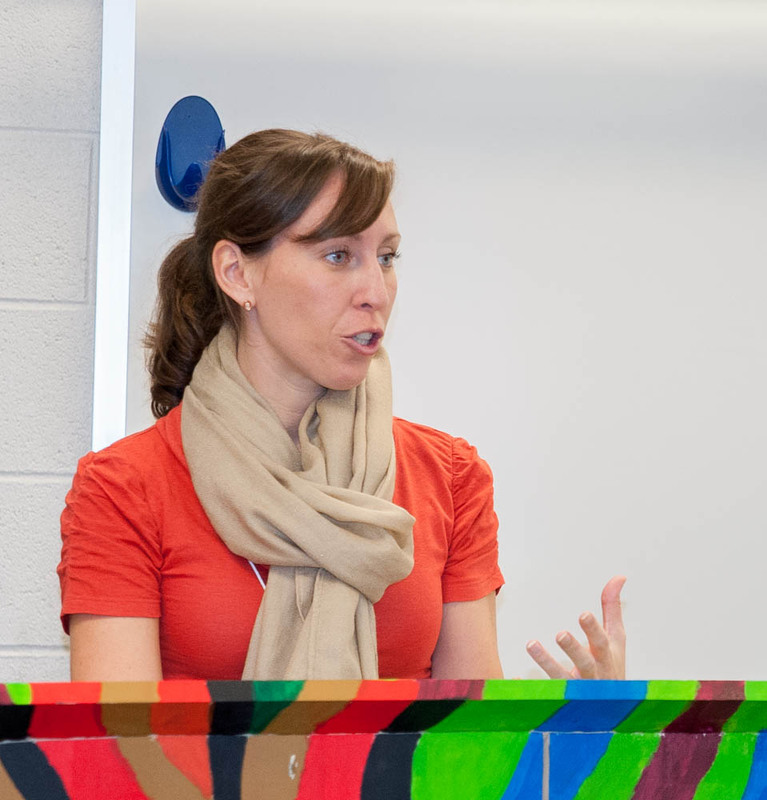 I love sharing my stories in my own workshops, but the downside of being on the faculty is that it limits the number of workshops I can attend. 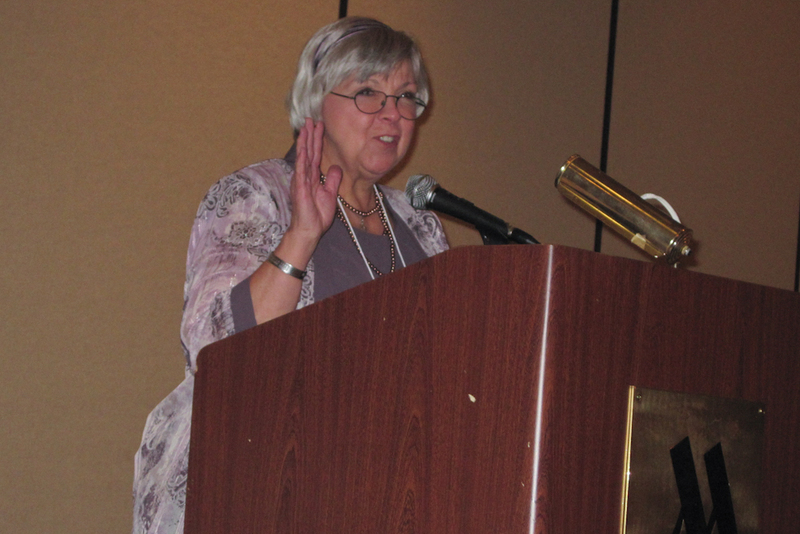 I chose What Educators Can Teach Writers by Jodi Wheeler-Toppen and Trends in Award Winning Nonfiction by Julie Ham, associate editor at Charlesbridge. Ham led a fascinating workshop. We read excerpts from 10 Sibert Medal winning books and 4 Sibert Honor books. Based on these short snippets of writing (and, our own background knowledge of the books), we rated them on a continuum between traditional, safe writing to expressive, edgy writing. Making these judgments forced us to look carefully at the writing. 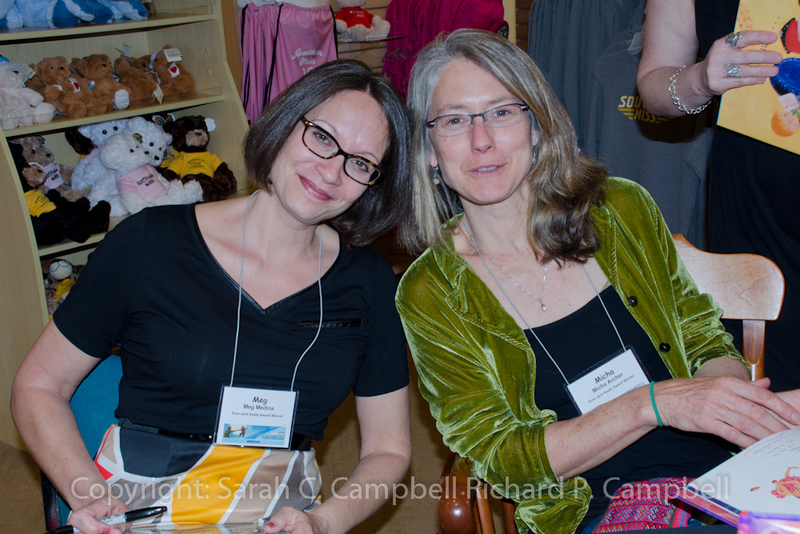 Here are Sharon Pegram, the conference coordinator, and Keri Lewis, my angel during the conference. 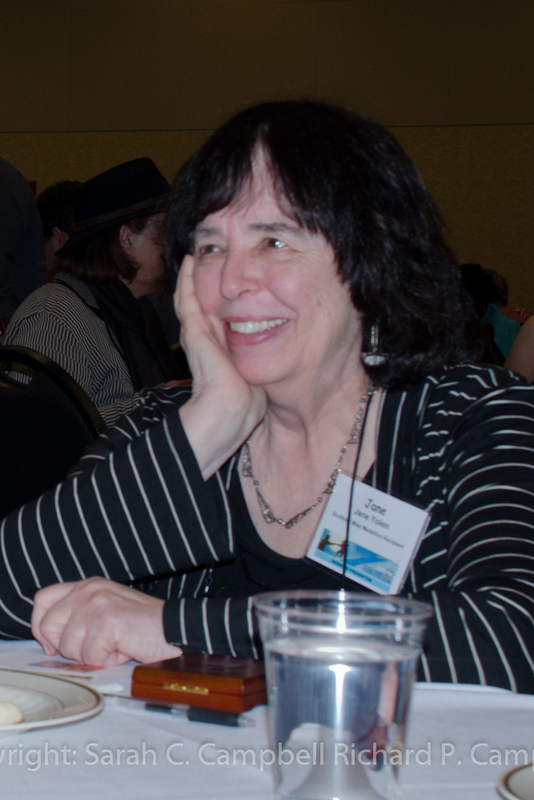 Jane Yolen was this year’s Medallion recipient and she gave a very nice speech about the importance of story. As all of us struggle to figure out how stories will find their audiences in our digital world, it is surely important to remember that story matters most. This is my fifth Kaigler festival; each one seems better than the last. This year Julie Owen came along and co-presented with me. Our newest workshop is “Read a Book, Make a Book!” We had more than 50 librarians (and a few writers and illustrators) in the room. 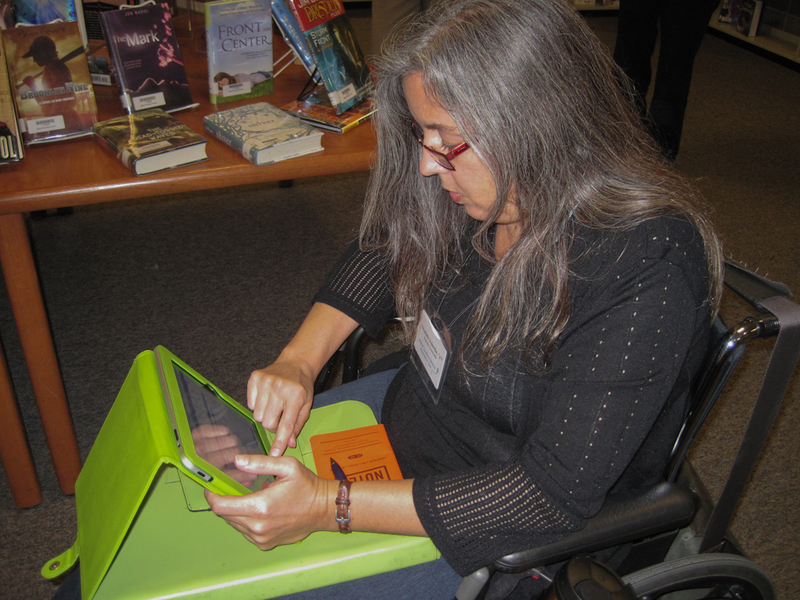 We were so busy with the hands-on bookmaking that we didn’t get a single photograph. Errrrgh! We had good suggestions from Micha Archer, an honor winner in this year’s Ezra Jack Keats New Illustrator Contest. Meg Medina, winner of the 2012 Ezra Jack Keats New Writer Award for her book, Tia Isa Wants a Car, with Micha Archer, who illustrated Lola’s Fandango. 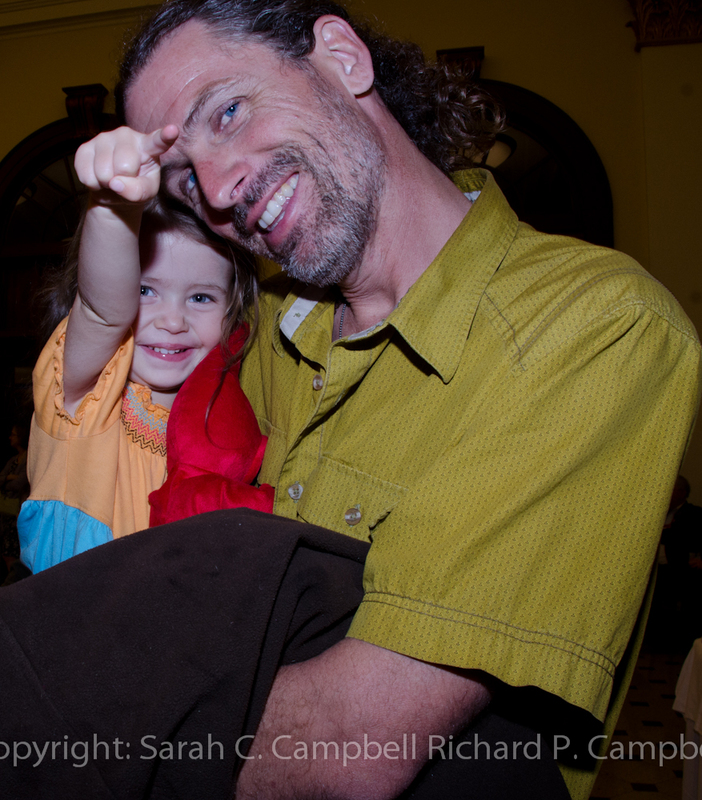 Patrick and T, the husband and daughter of Jenny Sue Kostecki-Shaw, who won the Ezra Jack Keats New Illustrator Award for her illustrations of Same, Same But Different. She also was an honor winner of the EJK new writer award for Same Same But Different. One of my favorite bits of the signing time at Barnes and Noble was my tea party with T, while her mom signed books. Matt de la Pena signing We Were Here, which he gave (GAVE!) to Julie after his speech, which was very inspiring! 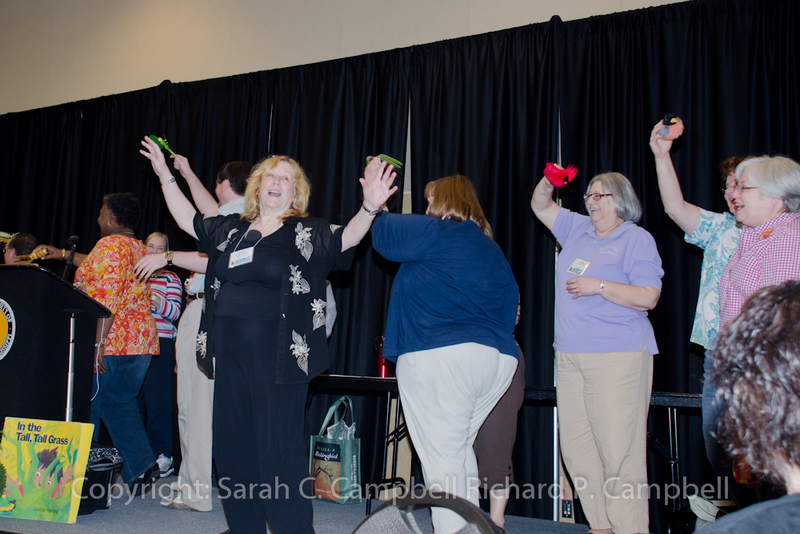 Denise Fleming, leading librarians in a dance. I spent some time visiting with Floyd Dickman, learning about the curriculum work he’s done with quilts and children’s books in Ohio. 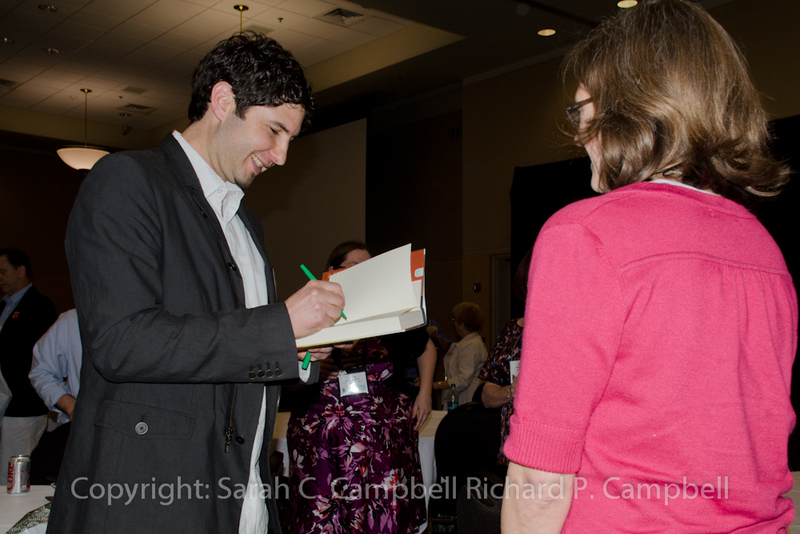 During my signing time, I met some librarians from Meridian. 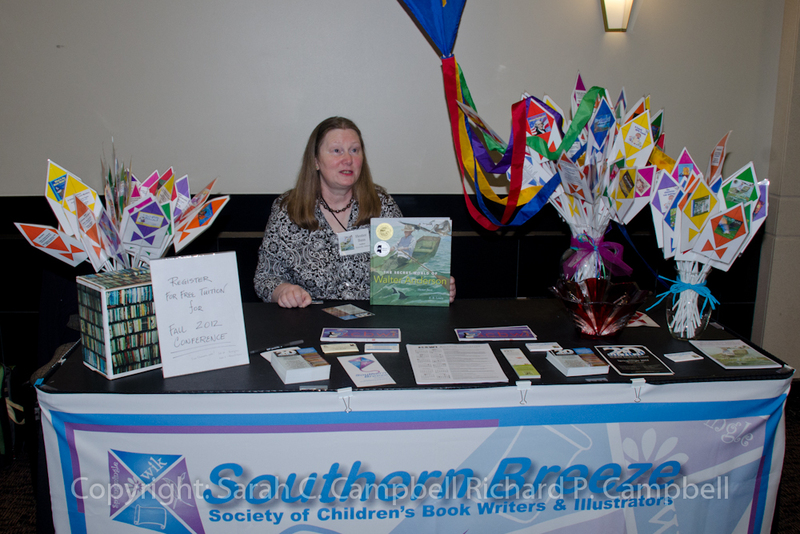 I spent time with my SCBWI friends at the Southern Breeze table. 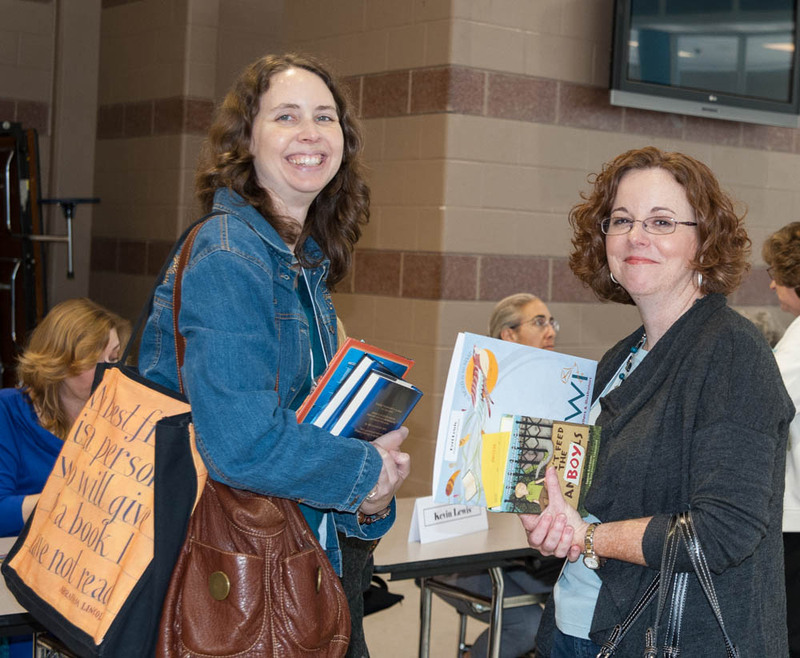 Claudia Pearson and Jo Kittinger worked hard to spread the word among librarians about homegrown writers and illustrators and to encourage would-be writers and illustrators among the librarians to join us at SCBWI. 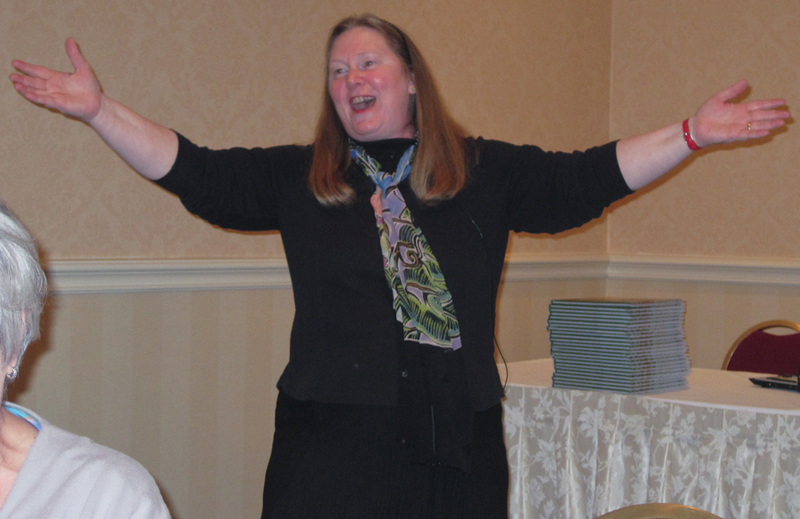 Hester Bass, author of The Secret World of Walter Anderson, hosts the Southern Breeze table. 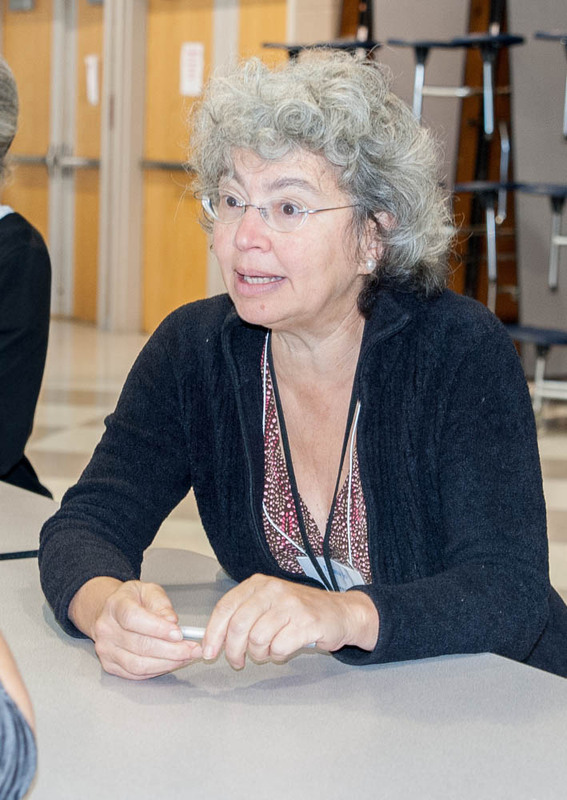 Diane Butler, librarian at Magee Middle School, wins the Kaigler-Lamont Award, which is given to a librarian who has done outstanding work in turning kids on to books. Valerie Nye and Kathy Barco, who were signing their book, True Stories of Censorship Battles in America’s Libraries. 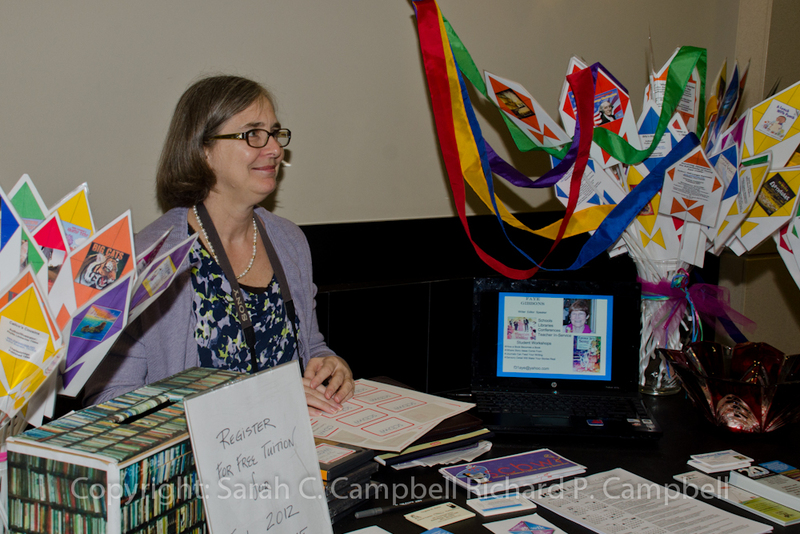 Thanks, Julie, for coming along, and for taking the pictures that include me. 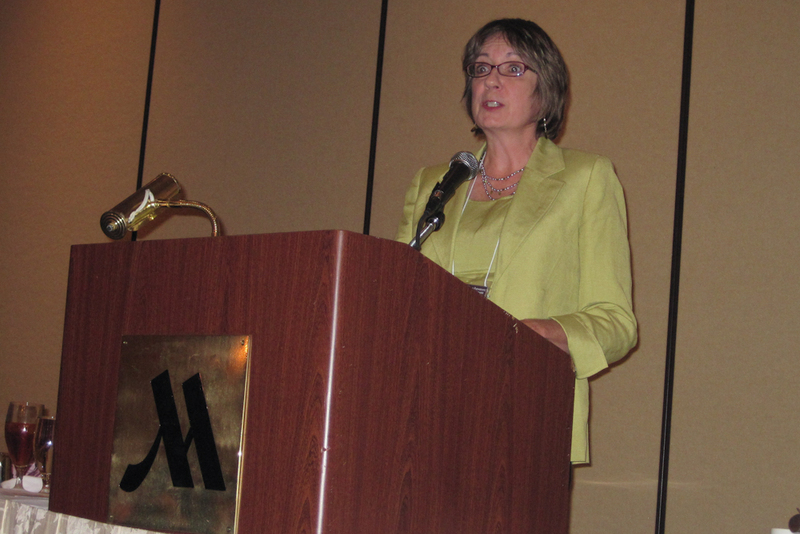 I spent a few hours at the Mississippi Library Association Annual Conference last week. 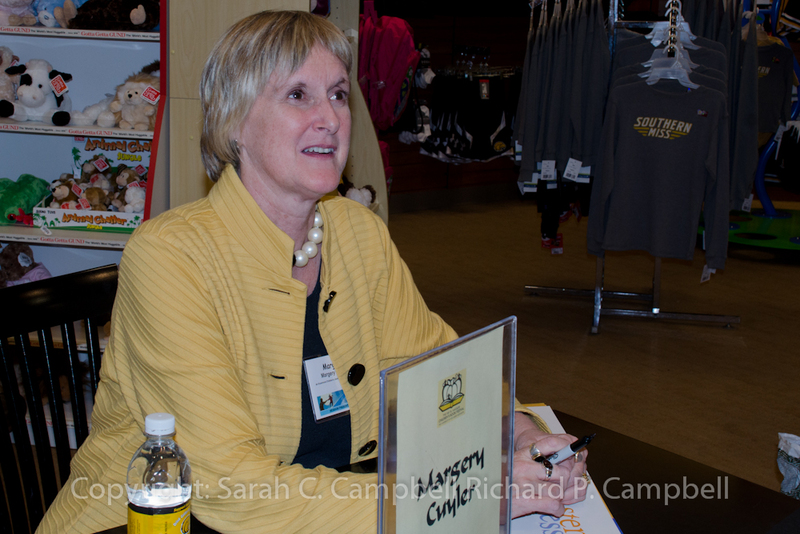 I went to hear my friend, Hester Bass, talk about her book, The Secret World of Walter Anderson, at lunch. Then, I went back for the Awards Dinner, where Hester won a Special Award for The Secret World of Walter Anderson. I had my little camera so the images don’t have the crisp look I’d like, but there worth sharing anyway. Nancy Opalko, youth services librarian at Oxford Public Library, introducing Hester. 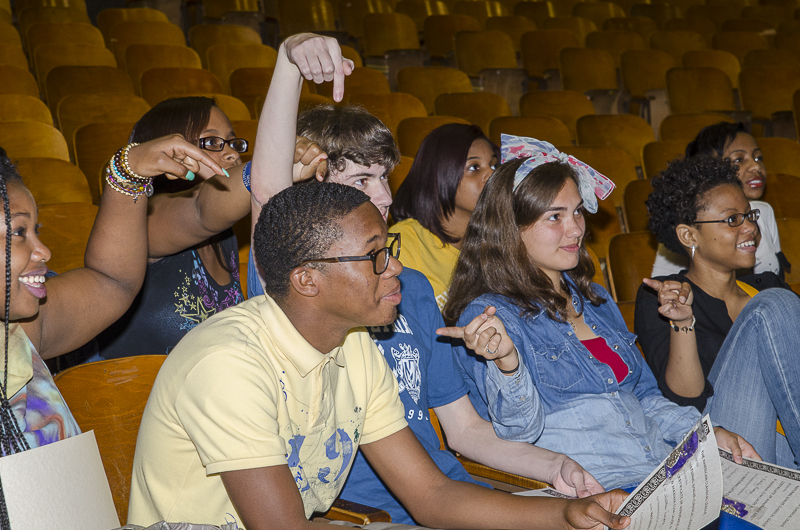 Hester Bass delivering a singing telegram to the lunch crowd. 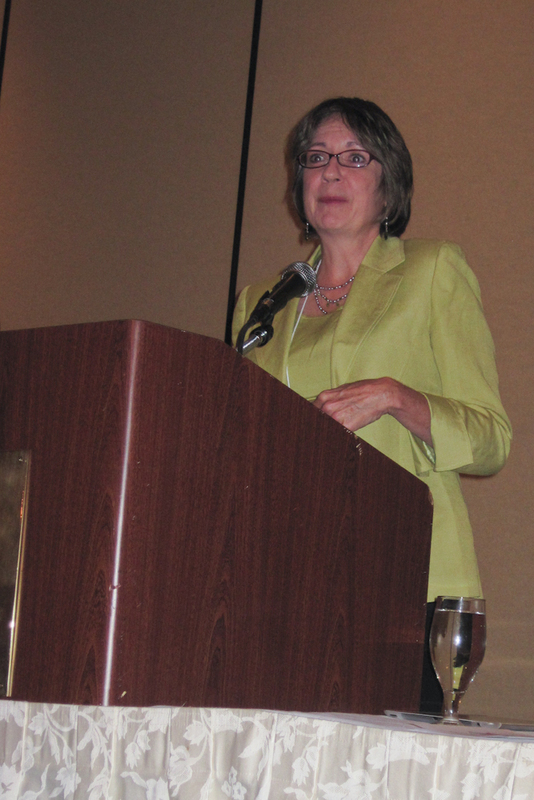 Hester siging copies of her book after the luncheon speech. 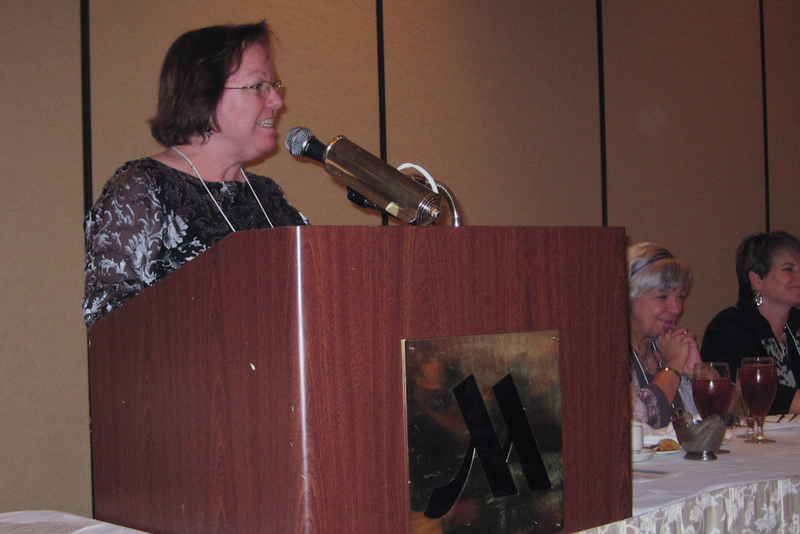 Cynthia Wetzel, a librarian at Mississippi Gulf Coast Community College, introducing Ellis Anderson. 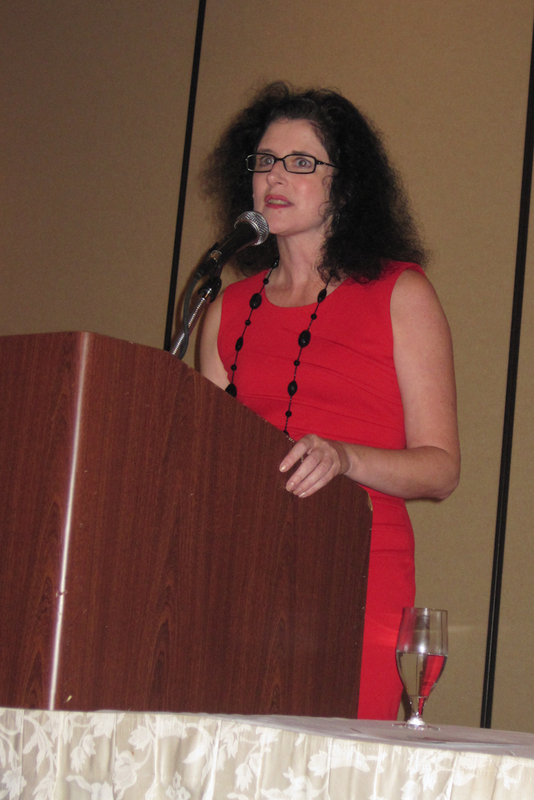 Ellis Anderson, author of Under Surge, Under Siege, winner of the nonfiction award. Read more about Under Surge, Under Siege here. Donna Fite, librarian at Purvis Public Library, introduces Mary Anna Evans. 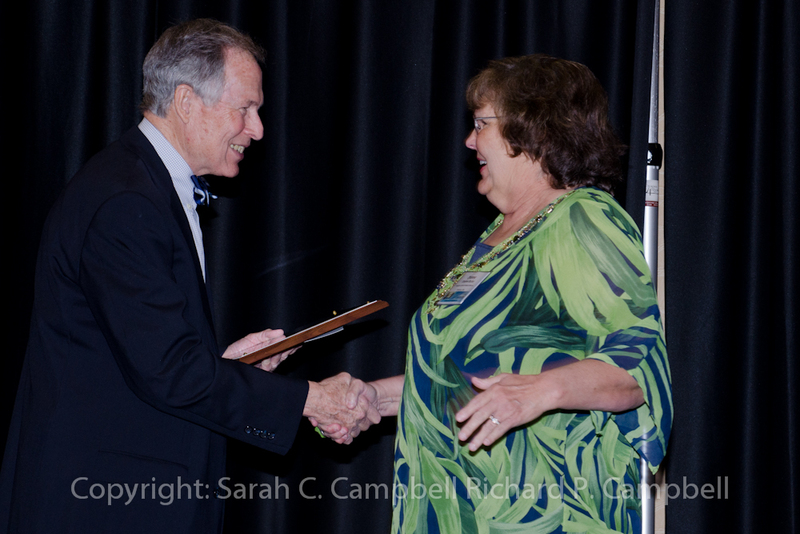 Mary Anna Evans, author of Floodgates, won the fiction award. Read more about Mary Anna Evans and her books here. 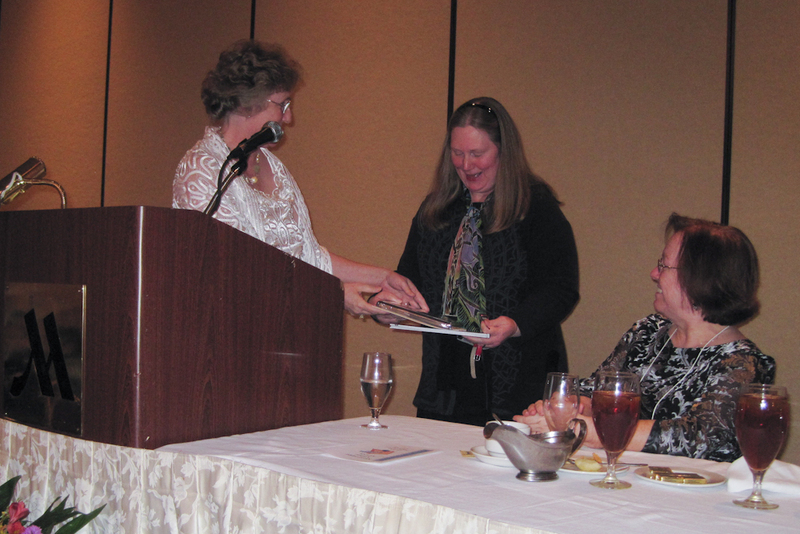 Marty Coleman, librarian at First Regional Library and chair of the Author Awards Committee, giving Hester her award. You can read more about Hester and her books here. Also, if you have read this far and are still interested, you can see last year’s award winners. I spent the weekend in Birmingham for Writing and Illustrating for Kids, the fall conference of the Southern Breeze region of the Society of Book Writers and Illustrators. We had a fabulous line-up of speakers and I got to see many of my writer and illustrator friends. My volunteer job this year did not involve photography so I have very few photos to share. These are ones I took in the library during the final session of the day: formal critiques. Elizabeth Dulemba preparing for her critique. 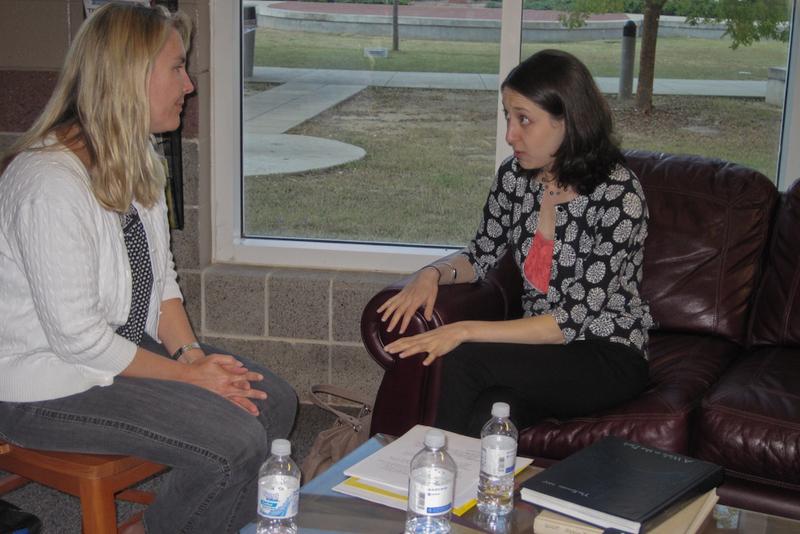 A member being critiqued by Melissa Manlove, editor at Chronicle Books. See more about Chronicle Books here. A member being critiqued by Linda Pratt, an agent with Wernick & Pratt Agency. Elizabeth Dulemba showing her portfolio to Deborah Kaplan, art director at Penguin Group USA. A member discussing her work with Alexandra Cooper, editor at Simon & Schuster Books for Young Readers. 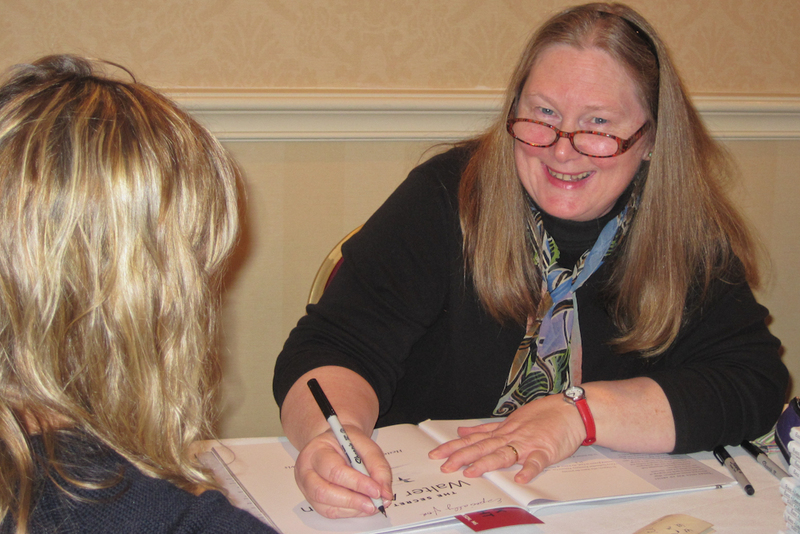 Lin Oliver, author and executive director of SCBWI, discussing work with a member. 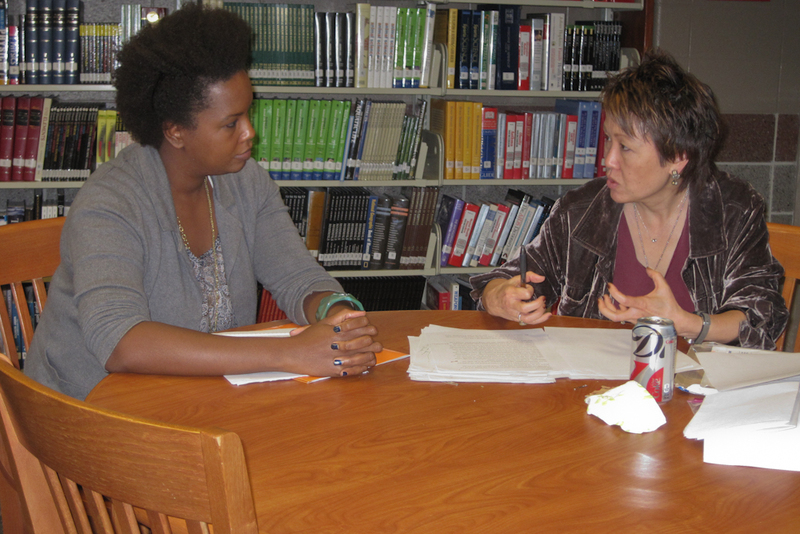 A member discussing work with Author Lisa Yee. Read a review of the book on Lemuria’s website here. There are lots of nice pictures, too. Earlier this year, I submitted three applications to the Mississippi Arts Commission. One was for a fellowship in the literary arts. This year’s literary fellowship categories were creative nonfiction, playwriting and screenwriting. My submission was in the creative nonfiction category. Last week, I sat in the room while an independent review panel discussed this year’s eight fellowship applications. Before the meeting, each panelist had read for each application a 15-20 page work sample and an artist’s statement (with all identifying information removed). Besides me, two other applicants came to listen to the panel. The panelists were identified by name cards on the conference table. I knew two of them from their work in the arts community. Two others were new to me. It was very strange to listen to my writing being talked about in that setting. Because my work-in-progress is a memoir, the panelists did at least have the luxury of using the pronoun “she” when they wanted to speak about the author, namely, me. From the discussion, I learned that other applicants’ work samples ranged from a literary cookbook to a play to newspaper column-style family reminiscences. I kept imagining that the panelists could tell it was my work they were discussing. I was sure it showed on my face. All three of us observers took notes during the entire discussion, but I wrote more assiduously when they were discussing my work. Though it was a strange experience, I think all artists should take any opportunity to listen in on this kind of discussion. Perhaps most importantly, the process allows you to see how effective (or not) you are at conveying your goals and at displaying the expertise to carry out those goals. For example, in at least one case, a writer, in his/her artistic statement, proposed a biography, but the work samples were unrelated to the biography project. At the end of a brief discussion, panelists were asked to give each application a series of numerical scores, based on certain criteria (originality and vision of the work; technical skill and mastery of the artistic discipline). I will have to wait until July to learn whether I will get a fellowship. The panel’s recommendations go to the Mississsippi Arts Commission‘s governing board, which meets in June. The other two applications I submitted to the arts commission this year were for its artist rosters. I have been on the artist roster for the literary arts for three years and it was time for me to re-apply. In addition, I applied for the first time to join the teaching artist roster. My application to be included on the artist roster for the literary arts went for review to the same panel that reviewed the fellowship applications. In this case, however, the panelists knew my name, saw my resume, my marketing materials, my work samples, and a list of the presentations and signings I’ve done in the last three years. I could tell from the comments by panelists that all of them supported my application to be on the roster. The story was largely the same for the teaching artist application, though it went before a different panel. During the discussion, several panelists said they wished they had more information on which to base their recommendation. Some suggested the application requirements should be amended to include examples of student work. I would have loved to have shared my students’ work. You can see some of it here and here. Another interesting aspect of the discussion was something I’ve struggled with over my years of trying to make the most of the resources available from the Mississippi Arts Commission. In order to apply for individual support (fellowship or grant) or to appear on rosters, an applicant must chose a particular art form. So, though I am equal parts writer and photographer in the creation of nonfiction picture books for children, I must choose for the purposes of each application whether to apply as a literary artist (writer) or as a visual artist (photographer). The rules about work samples make it hard to show my picture book work — because I am limited to typed manuscript pages on the literary arts side and photographs on the visual arts side. I wonder if the panelists are allowed to and/or encouraged to look at the online materials of the applicants for rosters. I have so much information available on my website and on this blog that could have filled in some of the information panelists seemed to be seeking. Have any of you blog readers experienced a similar “blind” review process? What was it like?